I recently reorganized my bag and bought a couple new things that I love carrying around with me. So, it seemed liked the perfect time to bring this feature back! (It's been a year!). 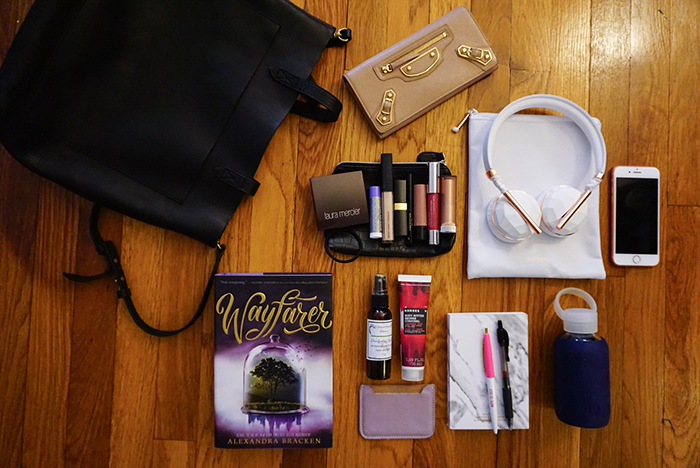 What have you been carrying in your bag lately? I'm utterly obsessed with your headphones and new tote! They're seriously ADORABLE. Your link for the headphones points to the eyeliner. Can you fix it? I'd love to check them out!